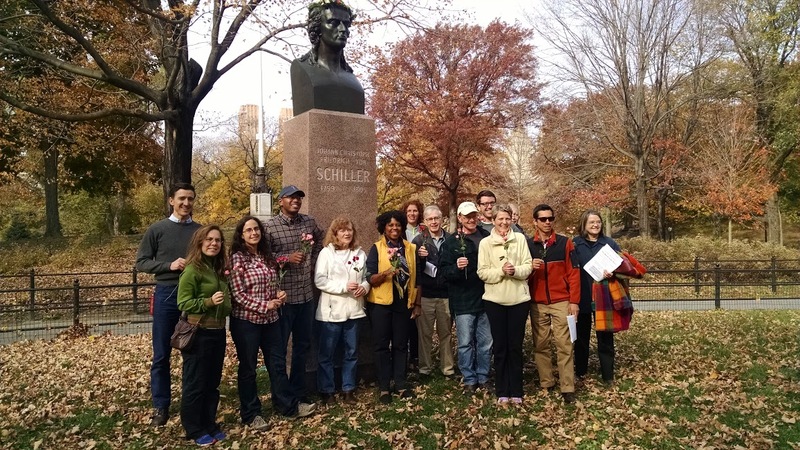 On Sunday, November 9th, the NY-NJ chapter of the Schiller Institute hosted at tribute to Friedrich Schiller, at the Schiller statue located in Central Park. This was part of the weekend long celebrations of: the 25th anniversary of the fall of the Berlin Wall, the 255th birthday of Friedrich Schiller, and the 30th anniversary year of the founding of the Schiller Institute. 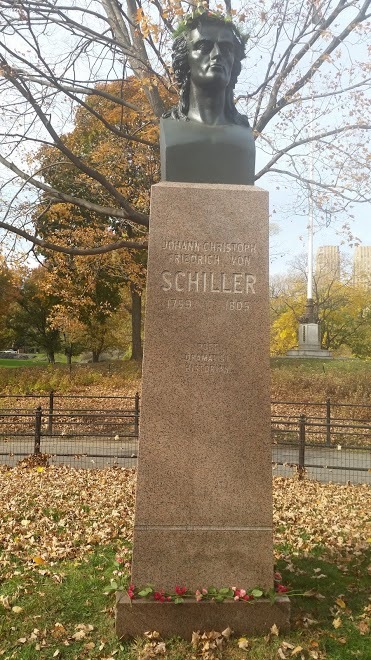 The Schiller statue was the first statue to be placed in Central Park, in 1859 , on the occasion of Schiller's 100th birthday, by American patriots, many of German descent, whom were later instrumental in Abraham Lincoln's election. 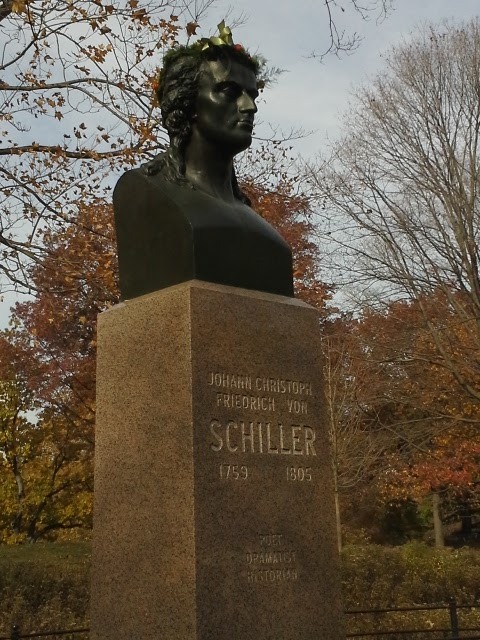 The former slave and Constitutionalist Frederick Douglass had dubbed Schiller at that time, "The Poet of Freedom." Diane Sare of the LaRouche Policy Committee, briefly discussed the lost opportunity of 1989 and our organizing to ensure that the opportunity of 2014, opened by the initiatives of the BRICS nations, for great scientific and technological development projects and the New Silk Road, was not lost. 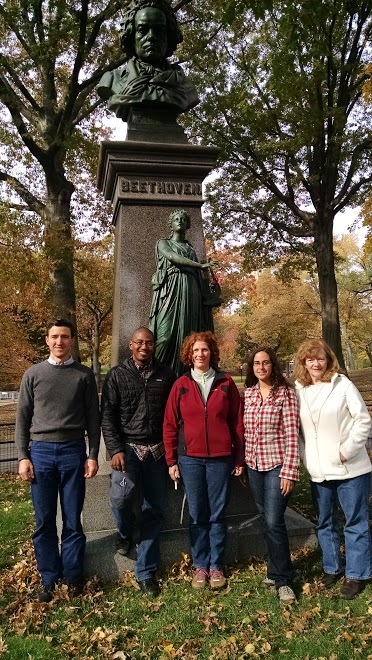 Members of the NJ Schiller chorus performed several Beethoven and other canons, including Schiller's "Ode to Joy," set to music by John Sigerson. Schiller's poems, "Hope" and "The Division of the Earth" were recited in English and German. 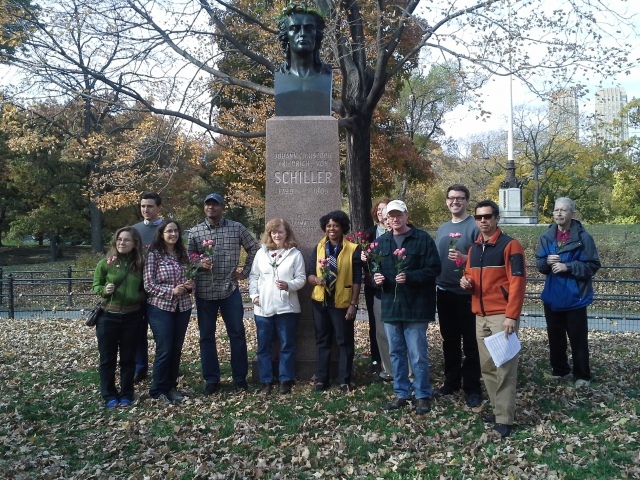 The program was concluded with the placing of a beautiful flowered garland, donated by a local florist, on Schiller and roses placed at the base of the statue. 250 leaflets on the anniversary of the fall of the Berlin Wall, and the declaration from the recent Frankfurt conference, with a link to the Schiller video , "The:Lost Opportunity of 1989" were distributed to passers by.